As a pro-renewables and anti-nuclear advocate, the legacy of the Fukushima disaster provides a ray of hope for more sustainable energy options. Yet Japan is a climate laggard, for one main reason - coal. Coal sullies both the atmosphere and Japan's reputation. Japan not only plans to build 49 plants, it is the largest financier of coal overseas. According to press reports, coal is not going to be discussed at the G7 this year because Japanese officials maneuvered successfully against it. Why then is Japan Inc. so addicted to coal? It is because their so-called high efficiency and low emissions (HELE) coal is simply the pride of "Corporate Japan". It is an important export item. 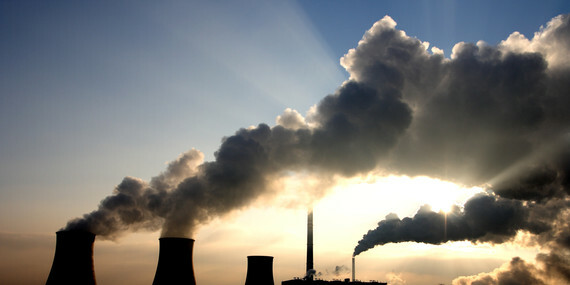 Japan sells coal technology by claiming that energy-poor developing countries want it. Yet the justifications are fundamentally flawed. Firstly, energy consultants, Ecofys, have proven that even the highest efficiency coal is not compatible with limiting the temperature to 2C. Secondly, the experience of international faith-based and development groups demonstrates that coal is not a solution to energy poverty. Thirdly, coal causes widespread deaths - recent Greenpeace analysis warns that 10,000 Japanese will die prematurely if all the planned coal plants are built. 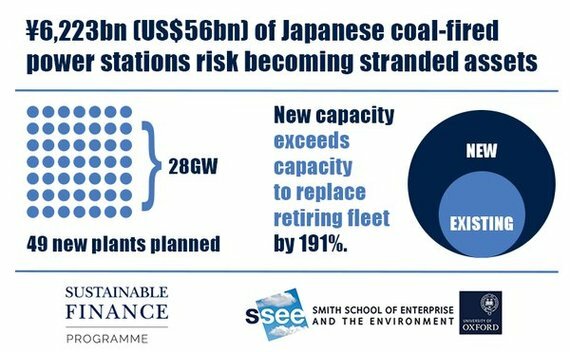 The University of Oxford recently published a remarkable new report showing that Japan is set to lose tens of billions in 'stranded assets' if the coal plans move ahead. In my mind, the Oxford study paints a juxtaposed picture of Japan versus the US. In the US, Obama is taking leadership by spearheading the shift from coal to renewables and thereby reducing possible stranding risks of coal assets of US companies. We don't have Obama's leadership here as our Prime Minister has got his coal technology peddling plan which would only increase stranding risks of coal assets in both Japan and foreign countries.